Laptops only ship with one power brick, but what happens if that dies or you don't want to carry yours but need to charge at the office? The Antec NP-100-GB features seven detachable heads with various connections to support most of the leading brands. It's worth checking the website for compatibility before buying, but major brands, such as Acer, Dell, HP, Sony and Toshiba, are covered. You can use it to charge your laptop either at home or leave it at the office. 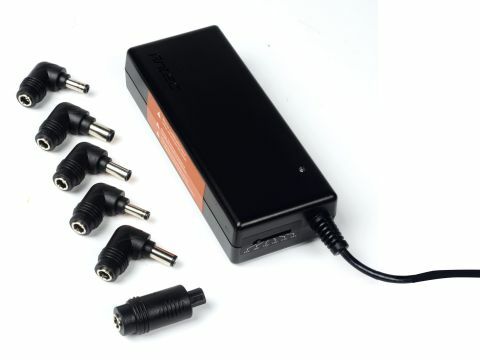 It's not the smallest of power bricks, so we wouldn't recommend taking it on the commute with you, but the mountings for the various heads sits well, so it won't fall out at the most inopportune time. It may not be the most glamorous of laptop peripherals, but in an emergency you'll be glad you've invested in one.